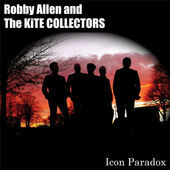 This week we are playing six great tunes from Robby Lord Allen AKA The Kite Collectors. Great Music from un-signed bands and your shout outs. A brand new song from ‘The Transmitters’ and this is the first play anywhere on the radio. All this in just two hours? How do we do it?